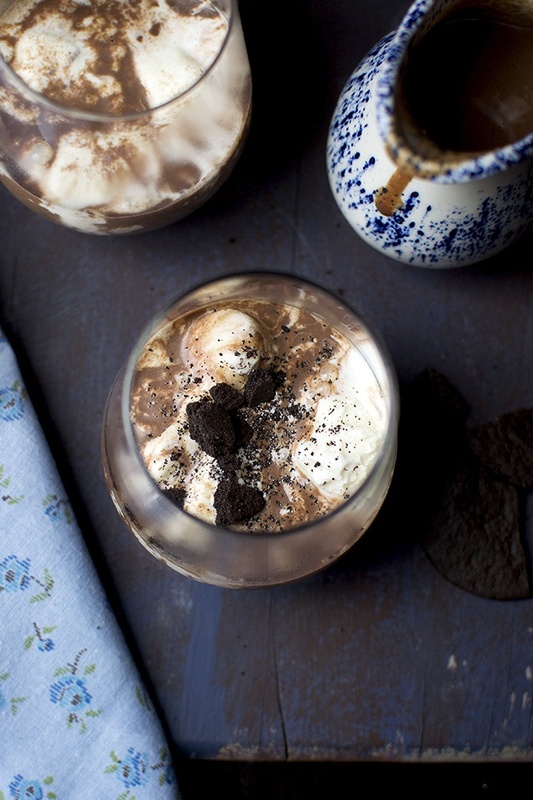 Hot Chocolate Affogato is a great dessert/ drink to make for kids parties. Hot chocolate is poured onto vanilla ice cream scoop and served right away. In a small saucepan, gently warm milk over medium heat. When small bubbles start forming around the edges, add the chocolate chips, cocoa powder and salt. Whisk until the mixture is smooth. Turn off the heat. Scoop ice cream into serving cups. Pour in some of the hot chocolate over the ice cream and top with wafer cookies or candy canes, if desired. Serve immediately.